Partying too many nights in a row during our college years …. Normal, yes! Staying out with friends and consuming too much alcohol, is tried by many people. Getting asked to try drugs – now, that is a different animal altogether. Drug addiction is like a ferocious lion, that rears is loud roar constantly throughout the day until you feed it a pill, shot, hit or fix. Drug users have one thing on their minds – how and when will they get their next “high”. They fixate on thoughts of feeling euphoric, altering their state of being and the waves come crashing in around them. Some are running from their past, carrying unnecessary baggage, numbing from tumultuous life situations and ultimately becoming addicted. Addiction is not just being dependent upon “street drugs”, plenty of Americans become enslaved to prescription drugs, as well. Users experience pleasurable sensations due to addiction itself or running away from painful life situations, they have not been able to find a solution for. When users experience withdrawal, the side effects can be painfully excruciating. Unfortunately, if users do not get to a detox center or treatment facility, where they will work on safely detoxifying – they could die. Detoxing your body of harmful toxins is very challenging. The process can be tricky and lengthy. Drugs are depressants, just like alcohol and they alter chemicals in our body, increasing our adrenaline and producing erratic states of being. 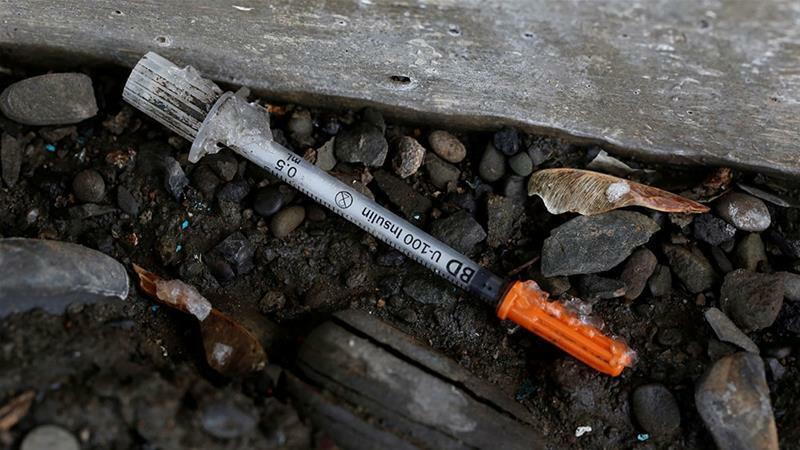 Drug users are unpredictable and can cause bodily harm to themselves and others. First step: you must accept the fact and admit that you are an addict. If we continue to lie to ourselves, we can’t face the reality of seeking proper treatment. You must want to change your life and stay clean and sober. Ouch …. What a major hurdle to step over but if we don’t admit our problem, it will never go away. We will be running from ourselves for the rest of our lives. Wherever we go, there we are! Everything becomes a blur, memories are forgotten or very distant and we isolate to hide our addictions. Trained clinicians and passionate healthcare employees make a significant difference, on the road to recovery. Here at https://www.pacificbayrecovery.com/ we assist you in navigating successful care of life-altering addition. Being just a number makes us feel less than, not important or cared for. Here at Pacific Bay Recovery, we utilize a different approach to healing. You are treated as an individual, not an addict. Each person that walks through our doors, is designed a different treatment recovery plan that is tailored specifically for them. We want our patients to feel welcome, a part of instead of apart from and included like family. We are here to help you succeed on your road to recovery! We believe in you and will be here every step of the way. Substance abuse disorder is a condition associated with individuals becoming addicted to certain substances such as alcohol and/or drugs. Addiction is defined as individuals partaking in these mentioned substances, because they have become dependent on them, and results in the affected person becoming socially withdrawn, experiencing breakdowns in relationships with friends and family, as well as committing actions that can get them into trouble with the law. Confirming the diagnosis of dual pathology may be challenging since substance abuse disorders may initially induce signs and symptoms of psychiatric conditions. Affected patients may then be regarded as having a substance abuse issue until such time as a complete and adequate medical history is taken from them to determine if the condition presented on its own or together with an underlying psychiatric disorder. An increased risk of being hospitalized. Being exposed to illnesses such as hepatitis C and HIV. Causality – it is suggested that certain types of substance abuse can lead to specific mental conditions. An example is the use of cannabis leading to mild psychotic experiences although it isn’t proven to cause psychotic disorders. Exposure to multiple risk factors – exposure to certain risk factors can lead to both mental health and substance abuse conditions and these may include poverty, social isolation, associating with drug abusers, living in areas with high drug availability, and traumatic experiences like sexual abuse. Self-medicating – abusing medications used to help alleviate symptoms of mental health conditions may lead to the development of a substance abuse problem. Also, certain medications may be used to counter the side effects of certain psychiatric drugs and this can also lead to substance abuse. Attention-deficit hyperactivity disorder (ADHD) – up to 25 percent of patients with a substance abuse disorder are known with ADHD. A reason for this is because ADHD is associated with an increased craving for drugs. Treating both these issues is difficult and unfortunately, these patients have poorer outcomes. Autism spectrum disorder (ASD) – as opposed to ADHD, ASD reduces the risk of an affected individual developing a substance abuse disorder. The reason for this is believed to be that ASD presents with a person lacking sensation-seeking personality traits and this helps to protect against abusing substances. It should be mentioned though that certain types of substance abuse, especially that of alcohol, can cause or worsen certain neuropsychological symptoms that are common in patients diagnosed with ASD. Many people go through detoxification (detox), whether it is related to alcohol or drugs. It is a fact you can die from alcohol detox, due to the lack of the alcohol chemical the body has been used to for some time. Going through this alcohol detox, around 5 percent of all heavy alcoholics will die. This is significant number, especially considering that 2.5 million alcoholics seek substance abuse treatment each year in America alone. Drug detox some great findings would be 70 percent is the highest among patients discharged from hospital residential treatment center, detox at 67% and short term residential treatments follows at 59%. The treatment competition rates were much lower in long term and or less structured settings at 44% and outpatient came in at 40%. With these statistics in mind, we need to now look at the difference between alcohol and drug detoxification. The two processes are similar but different in the actual way they are conducted by centers. Both can be done at a residential facility where the patient is detoxed in a few days and under medical supervision. In some cases, detox is done with medical prescription drugs to help with the withdrawal symptoms. These withdrawal symptoms include seizures, headaches, physical shakes, depression, emotional mood swings, outbursts, fatigue, and a heart attack. The differences with the detox between alcohol and drugs would involve the approach of the treatments, as well as the method used by the counselor who gives you therapy and counseling. The cravings and triggers for drugs and alcohol are different, so the therapy and coping skills are taught and presented differently to the individuals and to the groups. Drug detox will get rid of all the toxins in your body that accumulate from the drugs. This helps your body adjust slowly back to normal. Detox will also get rid of the alcohol toxins, as well, but you have to be aware that by medically detoxing doesn’t come without side effects. Some individuals who take methadone and Suboxone never stop taking the drug, or they completely relapse to their drug of choice. So, choosing the right treatment and center is crucial to your success. Some success in drug and alcohol abuse has been seen by centers taking a holistic approach to detoxification. These facilities use programs that exercise regiments, nutritional programs, and saunas, as sweating the toxins from the body naturally freeing the toxins from the body. After completing the holistic approach to detox, many patients report that they have reduced cravings for drugs. They feel happier, are more alert, and think clearer, giving them a stronger will to continue the next steps in the rehab program and getting on their way to a happier healthier drug free life without addiction. Pacific Bay Recovery offers exceptional drug and alcohol detox programs along with rehab programs that are effective and long lasting. Call us today to find out about the best addiction treatment center in San Diego! Drug detoxification (detox) is one of the most difficult rehab programs to go through. It is physically demanding, you’ll likely be rather sick for a few days, and in some cases, you could have permanent damage. Keep in mind that this is a long journey and you were strong enough to walk through the door; so don’t let fear of feeling pain or stress stop you from succeeding. This is the hardest part of this type of rehab program. Your body has to naturally remove the drug or drugs from your system. What this means is that you may suffer from tremors, physical illness, severe depression, body cramping, and mood swings. The first part of recovery is the worst part, and you’ll get through it because support and guidance is right there. Once you get through the detox phase, the rest is smooth sailing in comparison to those moments. For those with serious addictions to methamphetamine, heroin, or crack cocaine, the staff may give you medication, such as methadone, to help you with the physical pain and mental distress that comes from using these strong drugs. The body becomes dependent on these strong drugs and medications are made to help the body through these tough processes. You won’t have to be on them forever, it is just temporary. This helps you to wean yourself off of the drugs, although in an abrupt way, without losing control of your mental function. There is a real reason as to why you started using drugs. Perhaps it was stress from work, feelings of inadequacy, or a personal tragedy. These demons have to be set free so that you can ease your mind and realize that it was a poor decision and there are other ways of coping with these things. It is important to talk about your demons, no matter how hard it is. Part of rehabilitation (rehab) is working on you, not just the addiction. It helps you release these negative thoughts and feelings and learn how to deal with them in real life situations. Most drug addicts entering detox rehab programs are very resistant to treatment. Denial is a tough phase to get through. Once you’ve passed the actual detox portion, you will feel better physically and emotionally. This helps you recognize the problem and allows you to accept the help available. Programs are structured differently with every facility. It is important to listen to your counselors, talk with others, and listen to their stories. It’s a big wake-up call, and you’ll be grateful for it in the end. Although this is a hard program to get through, you’ll be healthier after the program is complete. Pacific Bay Recovery in San Diego offers a safe and effective detox program along with residential and PHP options for drug and alcohol rehab. Call us today! The decision to overcome addiction and seek help is a big one. But once you have decided to do so, the bigger question is which rehab or program to choose. Good drug rehab centers offer multiple programs to help you recover from substance abuse. One of the best detox and drug rehab centers in San Diego, Pacific Bay Recovery, offers not one or two but several treatment options depending on your need. The first step with drug abuse patients is medical detoxification. Chemical dependency is dangerous and must be broken in a comfortable and positive setting, like Pacific Bay Recovery‘s drug rehab center in San Diego. Medical detox allows for systematic withdrawal, easing the discomfort of withdrawal from whichever substance dependence you suffer from. An inpatient treatment program lets you live in a safe, comfortable setting under medical supervision while you learn to live without drugs. For a period of 90 days, inpatient services at the best San Diego rehab center, Pacific Bay Recovery can help you to continually cultivate a drug-free lifestyle. Outpatient rehabilitation is where a patient travels to a center to attend therapy sessions and can return home the same day. You may still need continual accountability and emotional support to succeed after leaving the inpatient drug rehab. The best rehab centers offer an intensive outpatient program, such as the one at Pacific Bay Recovery in San Diego. To find out which program is best for you, visit pacificbayrecovery.com or call 858.263.9700 today! Drug detoxification is a term used to describe the interventional act of withdrawing oneself from the physical dependence of a drug; experiencing drug withdrawal symptoms; and undergoing appropriate medical treatment to flush out the excess toxins and chemicals from the body, which have accumulated due to a history of drug overdose and addiction. The process of drug detoxification does not address the complex social and behavioural factors or psychological precedents causing addiction; rather the detox process only focusses on curing the physiological symptoms and health issues, which intermingle with chronic drug use. In this first step of detox, the patient’s blood profile is tested to check what specific drug substances are presently circulating in the blood stream along with their precise concentrations. Potential co-occurring disorders, mental and behavioural issues, and other such dual diagnoses are thoroughly evaluated by the clinicians. In the second stage of detoxification, the subject is guided through a clear explanation of the entire process of detox with or without the help of drugs to establish physical and mental stability. The patient’s close family and well-wishers are brought in at this time to provide moral support and backing. The patient is also made aware of the treatment goals, recovery process, and generally what to expect throughout the course of detoxification. The final stage of the drug detox procedure involves readying the patient for real medicinal intervention and actual recovery process. As the medical treatment begins, the physical dependency on illicit drugs or alcohol is curbed with the help of the appropriate medicines and prescription drugs. Apart from controlling the physiological withdrawal symptoms, the drug detoxification process does not help in dealing with the psychological aspects of addiction. In this final stage, the patient ought to give consent to complete the detoxification process by officially enrolling in a drug rehabilitation program. For most patients, the most challenging and intense stage of rehabilitation program is the first few hours and days of detoxification. A number of issues such as violence, aggression, suicidal tendencies, psychosis or physical illnesses may be presented during the first few hours of drug withdrawal. It is vital to have efficient medical and psychiatric support at hand, at all times in the detox-clinical facility until full physical and psychosocial stabilization is achieved. Mood swings and mental instability and irritability. Intense fatigue and muscle weakness. Sweating, fever, chills, tremors, nausea, vomiting, headache, and flu-like symptoms. Strong cravings to go back on drugs to avoid the withdrawal symptoms. Perhaps, the most difficult stage to cross, the severity of the withdrawal symptoms can depend on the type of drug dependence and duration of drug addiction in the patient. Further complications could occur if the patient has other underlying medical disorders, which could worsen the treatment progress and recovery. Therefore, it is of prime importance to isolate and understand all symptoms displayed by the subject and carefully prescribe the right treatment methodology. For the top drug detox center in San Diego, call Pacific Bay Recovery today. Treatment is customized to each individual, with success rates being impressive and most insurance accepted. Call today for help!